If you have a big TV room, you'll want a big TV to put in it, and in 2016, that means 55 inches. This is one of the most popular sizes of TV on S21 right now, and so we're bringing you our pick of the best 55-inch TVs of 2016 in a range of price categories. A 55-inch TV for £800? We are surely kidding you. But no, the Samsung UE55KU6000 really does give you 55 inches of screen real estate for the kind of money you might have spent on a 46-inch TV just a few years ago. 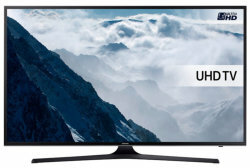 The KU6000 is Samsung's entry-level UHD model for 2016, but it still comes with HDR (High Dynamic Range) compatibility, access to Amazon Instant Video, Netflix, and the BBC iPlayer, plus excellent connectivity with support for screen mirroring of compatible smartphones and tablets. Dynamic range is impressive, and the only downside is that this isn't the fastest screen around, so motion blur is sometimes in evidence. There's no 3D either. But in value-for-money terms, this is simply unbeatable. Moving up Samsung's 6-Series range we find the outstandingly good Samsung UE55KU6400, a mid-range model with upmarket looks and superb picture quality. With 4K viewing and outstanding dynamic range, HDR compatibility, wide viewing angles and good motion control this is a star buy. 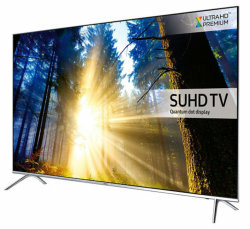 And Samsung's outstanding Smart TV functions turn the KU6400 into a superb all-round entertainment platform, with Catch-up TV, streaming content and a wide range of apps. But again, 3D is missing. Climbing further up the price ladder, we find the superb LG 55UH850V. This is a "Super UHD" television, which means that it meets the HDR10 and Dolby Vision standards for HDR. That gives it an edge over the cheaper Samsung models, and HDR 4K material is certainly incredibly sharp, rich and vibrant on this screen. Motion clarity is excellent too, and viewing angles are good. LG's Smart TV system is a match for Samsung's, with the BBC iPlayer, Amazon Instant Video, Netflix and more. LG's "magic remote" makes browsing simple. You'll also get 3D with this TV and a 2.2 speaker sound system. 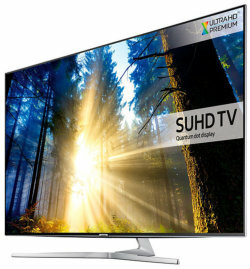 Another Samsung TV sneaks in at the £1500 price point - the Samsung UE55KS7000. The KS7000 is the cheapest of Samsung's SUHD TVs for 2016, yet it delivers incredible picture quality. With a 10-bit colour, quantum dot display, with local dimming and full support for the Ultra HD premium standard, this screen creates spectacular results. The design is super-premium, with an ultrathin metal frame and matching stand. Audio quality is well above average, thanks to a 2.1 speaker system with 40W of power. And of course Samsung's superb Smart TV system is on hand, with the added benefit of a smart remote controller. The only thing missing is 3D. Money no object? Then your only problem is choice. There are several contenders for best 55-inch TV of 2016, but we're going to pick the Samsung UE55KS8000. Samsung's 8-Series TV may not be very different from the KS7000, but it has the edge when it comes to looks, with its gorgeous "360 design" concept and metal Y-stand. The picture quality is not very different to the KS7000, but the backlighting system is perhaps even more refined, and this TV delivers absolutely exceptional performance. Audio quality is also the best from any of the TVs we've picked, with an impressive 4.1 speaker system and 60W of total power adding a rich intensity to your audio enjoyment. 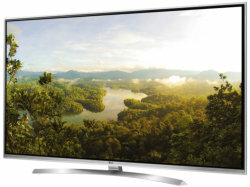 Samsung's Tizen Smart TV system is here in all its glory, offering an unrivalled range of content. Once again, though, 3D is not supported, so if you want that feature, we'd suggest the equally-impressive Panasonic TX-58DX802B. Does the LG 55UH661V have YouTube app available? And can I pare my smartphone to Smart TV YouTube app? Thank you. Yes it does have the youtube app as past of the WEBOS install, and yes you can pair your Smartphone. Anyone know how good hisense 55m7000 is please?